← “Eat, Drink, Local” — The First Annual Wine & Food Festival — Just 5 Days Away! Posted on June 23, 2010	by Michael Gorton, Jr. This is not your father’s rosé. This is not your everyday sipping rosé. This is a rosé that cries out for food, how every good wine — rosé or not — should be had. 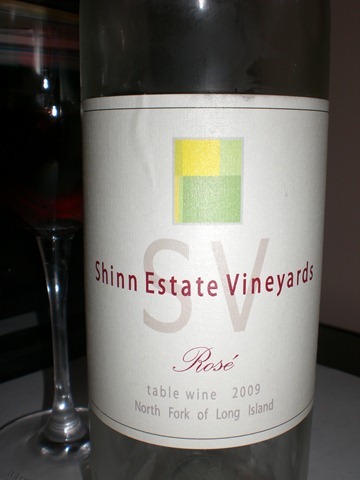 Shinn Estate Vineyards 2009 Rosé ($15) is one of the darkest colored rose out there. The color is intriguing and inviting. It is a beautiful strawberry/cranberry color — one may think that one put ice in a glass of red wine and left it out to melt. Shinn Estate Vineyards has experimented with extensive skin contact with their red wines over the last few years – it is no surprise that they would do the same with rosé. And each year it gets darker and darker – not to mention better and better, not sure if that is proper grammar. The grape varieties that go into this rosé are picked separately from the other varieties that go into their red wines at the vineyard. Merlot is the main variety here, grapes are pressed and left with skin contact for about 24 hours. Some vineyards will only allow for about 12 hours while some maybe even less. But at Shinn Estate Vineyards, everyone gets a good night sleep before the juice is fermented. On the nose there are aromas of fresh strawberry, raspberry and blueberry with dried herbs and earthy and salinity notes. As the wine warms in the glass there is a slight aroma of watermelon. Upon tasting, you pick up some lees – flavor of the skin. 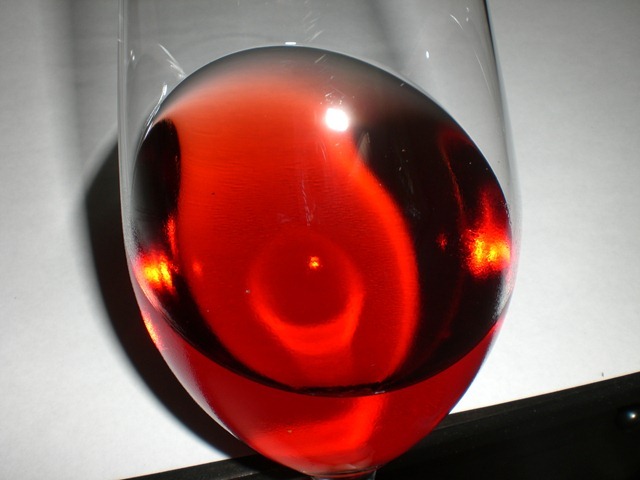 This also gives the wine some tannins — something you find in red wines, and happily you find in this rosé. The watermelon note I was picking up on the nose carried over on to the palate along with the raspberry. There was a distinct fresh oregano flavor going on. This rosé packs a punch. It is bone dry with big flavors and aromas. The acidity is excellent and palate cleansing. Because of the tannins, this rosé is meant for food. It may be a challenge for most to drink this wine all by itself. If you want, pack a lunch picnic of crusty bread, cured meats, olives and cheese. I also thought roasted or grilled chicken would be perfect too. This rosé may not be what everyone is looking for in a Long Island rosé, it may be to big for some. But, if you like a big hearty red, but find the summer to warm to drink them, then pick up a bottle of this rosé from Shinn Estate Vineyards. You will not be disappointed. This entry was posted in 2009, Notes, Rose, Shinn Estate Vieyard. Bookmark the permalink. No wimpy rose wines at Shinn! Thanks Michael. The best pairing yet with this rose was a grilled Browder Red Chicken and Osprey’s baseball. That is for sure. Need to get some Browder chicken soon and put it on the grill and rotisserie and enjoy another bottle!